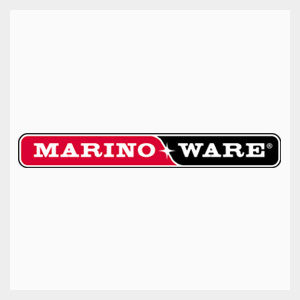 Marino\WARE understands that fire management is critical to quality and safety in a modern construction project. Our patented technologies in Deflection Drift Angle, FAS Track 1000, and Hot Rod X Compressible firestopping make up our selection of innovative solutions to to harden your framing project with tested fire resistance. These solutions also include additional benefits, such as sound control and universal fitting. Feel free to explore our solutions below. US Patent #8,595,999 B1 (Deflection Drift Angle) is a composite steel angle with intumescent tape factory applied to the inside leg of the steel angle. 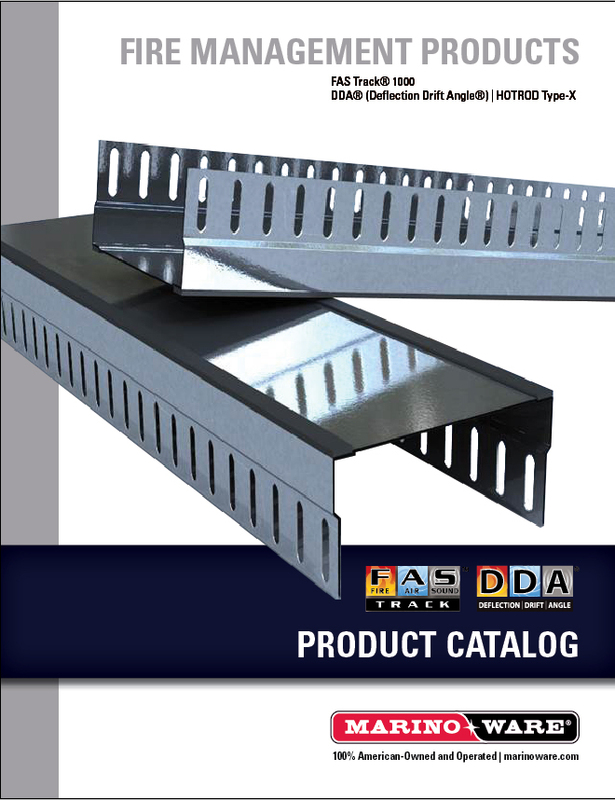 The DDA is a fire-rated accessory that when combined with slotted or deep leg track will offer 2” unencumbered movement at the head-of-wall joint in accordance with UL-2079 “Test for Fire Resistance of Building Joint Systems”. The 2-1/2” outside leg marked for proper identification. The section is fabricated from minimum 0.018-inch thick hot-dipped red galvanized steel complying with ASTM A653 having minimum G-40 coating. This product comes in two main variants; DDA and DDA-1. FAS Track 1000 is a slotted deflection track that offers fire and air (smoke) protection, eliminating the need for fire and sound sealant. The section is fabricated from hot-dipped galvanized steel complying with ASTM A653, and ASTM A1003 Grade 33 Type H for 33 ksi yield strength steel for 20 gauge (33 mils) with a minimum G40 coating complying with ASTM A924, and 18 gauge (43 mils) with a minimum G60 coating complying with ASTM A924; and Grade 50 Type H for 50 ksi yield strength steel for 16 gauge (54 mils) with a minimum G60 coating complying with ASTM A924. FAS Track 1000 has been tested with Underwritten Laboratories in accordance with UL 2079. HOT ROD Type-X is a compressible intumescent firestopping that provides 1 and 2 hour fire-ratings for both dynamic and static joints according to UL-2079 5th edition (for both standard walls and shaft walls) and is sound tested according to ASTM E90, tested up to a STC 68.